This class is intended as in introduction to high school band. This course provides students with the necessary skills to play at a high school level, and prepares students for the Wind Ensemble. Basic music theory and ear training concepts will be introduced, as well as a brief overview of music history. 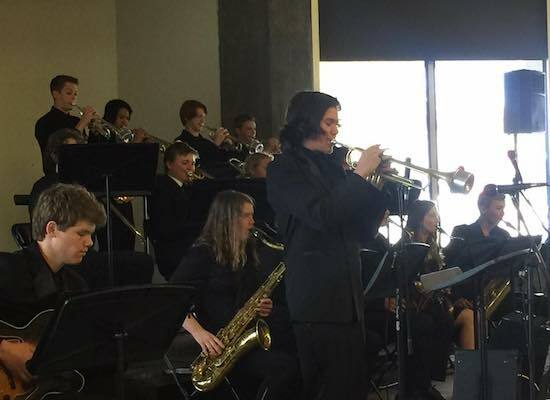 This groups combined with Wind Ensemble to perform at several music festivals, school concerts, annual tour, and at basketball games (pep band). This class is intended for students who have already been in the Symphonic Band. This is a higher level band which goes into more advanced music theory as well as more advanced music. 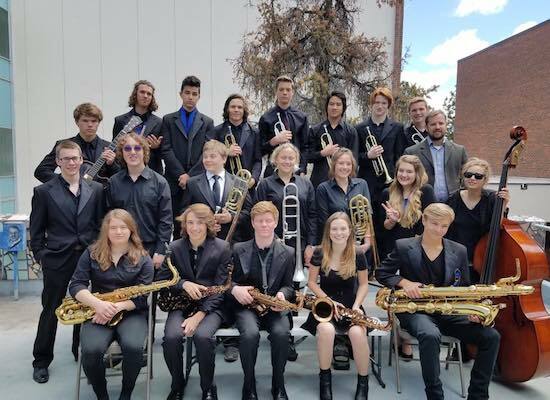 This groups combined with Wind Ensemble to perform at several music festivals, school concerts, annual tour, and at basketball games (pep band). This is one of the "0" period jazz bands, under the direction of Mr. Steele. Advanced jazz techniques will be covered in this course including improvisation. Participation in Symphonic Band or Wind Ensemble is required. This band will perform in 3-4 festivals, multiple concerts, and community performances. Membership is contingent upon live auditions to be held at the end of the previous school year. This is one of the "0" period jazz bands, under the direction of Mr. Arizu. Beginning jazz techniques will be covered in this course. Participation in Symphonic Band or Wind Ensemble is required. This band will perform in 2-3 festivals, multiple concerts, and community performances. Auditions are not required for membership. This is an extracurricular, small group, jazz combo. It meets twice a week after school and is mostly student run. An emphasis will be on improvisation and student composition. It will perform at 3-4 festivals, multiple concerts, and community performances. Membership is based on live auditions held at the beginning of each school year. This is not a graded course. This is an extracurricular, small group, jazz combo. It meets once a week after school and is mostly student run. An emphasis will be on improvisation and gaining familiarity with jazz standards. It will perform at 2-3 festivals, multiple concerts, and community performances. Membership is based on live auditions held at the beginning of each school year. This is not a graded course. This band performs at our home football games. We bring spirit and great music to help our team win and get the crowd pumped up! Halftime shows and marching drill will be taught. There will be marching band practices at the end of the summer. Dates and times will be decided by the director. If you are in Symphonic Band or Wind Ensemble, this is a requirement.